Labor Source, the supported employment division of Imagine!’s CORE/Labor Source department, is celebrating its 30th Anniversary this year. To honor this important milestone, each week I am publicly thanking and recognizing Labor Source’s many local business partners. Supported employment offers people who have a disability the opportunity to develop vital job skills and become active participants in their communities. The benefits extend far beyond helping individuals served by Imagine!, however. Businesses using our services are able to reduce recruitment and training expenses as they benefit from a diversified employee pool. Partnering with CORE/Labor Source is a “win-win” situation that is beneficial all around. We are very grateful to our business partners who have demonstrated their commitment to Imagine!’s mission by employing CORE/Labor Source participants. Today’s Labor Source 30 for 30 partner highlight: The Boulder ChopHouse. Located in the heart of downtown Boulder, the ChopHouse features a menu that blends classic steak house with ever-changing local and organic ingredients. Join them on their patio, in their bar, for happy hour, or any night for dinner. Over the past year, The Boulder ChopHouse has employed 8 CORE/Labor Source participants at various times. 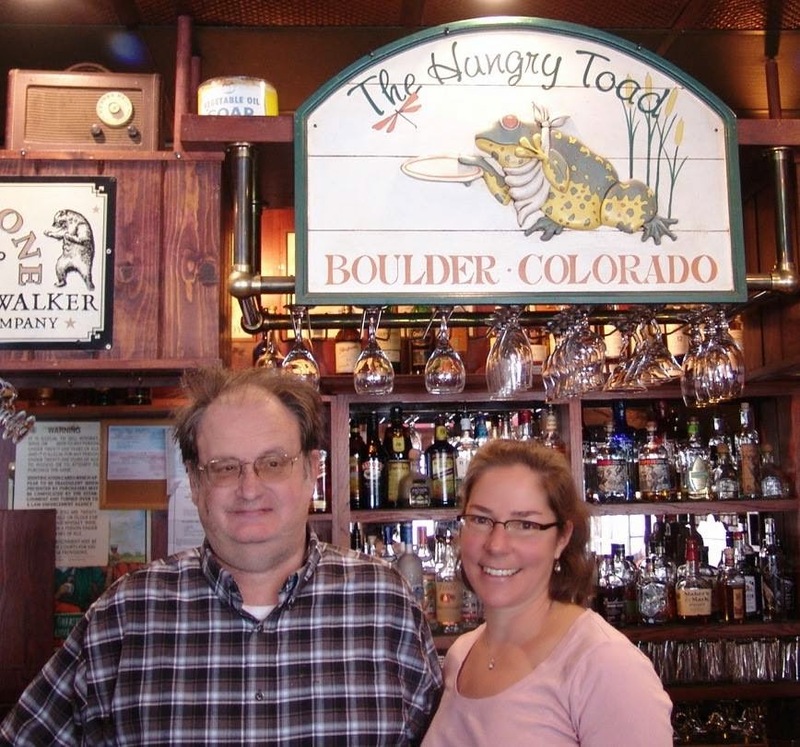 The Boulder ChopHouse has employed individuals served by Imagine! since 2001. Thanks to everyone at The Boulder ChopHouse for their commitment to our community and for providing employment opportunities for individuals with intellectual disabilities. Here’s a great story about an individual served by Imagine! who is making a difference in his community. Michael, who receives services from Imagine!’s CORE/Labor Source (CLS) department, has a passion for helping others, which he demonstrates by donating aluminum cans he finds to Cans for Hope, an organization that generates awareness and funds through recycling efforts to help the survivors of sexual trafficking, slavery, and abuse. Cans for Hope provides time and resources to established charities with proven track records in fighting this battle. Michael is always looking for cans, whether it is at the Longmont CLS site, or when he is out in the community. When Michael arrives at the CLS site, he starts checking the recycle bins for any cans that have been thrown into them. Michael also volunteers for the CLS park clean-up activity once a week and grabs a second bag for putting his prized cans into. When Michael is out in the community, he talks to others about how he is collecting cans for Cans for Hope. Once Michael has collected the cans, he then places them in the Cans for Hope bin located at the Longmont CLS site. Since Michael started collecting the cans in January 2014, he has collected four large bags of cans weighing more than 32 pounds! If you would like assist Michael with his support to Cans of Hope, you may drop aluminum cans off at the Longmont CLS office, located at 1960 Ken Pratt in Longmont, or you can contact CORE/Labor Source instructor Lorna Diehl by sending her an email at ldiehl@imaginecolorado.org and she will try to arrange for pickups of the cans. 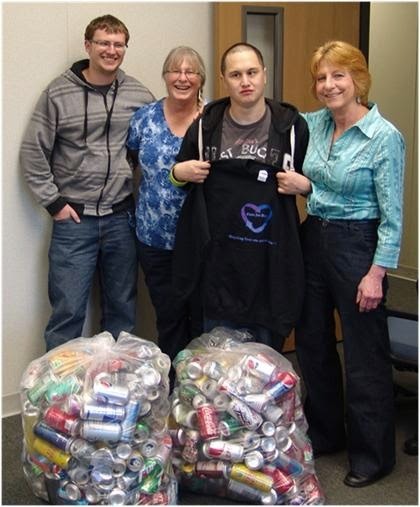 Pictured from the left, Dan Welch, CLS Instructor; Lorna Diehl, CLS Instructor, Michael (with Cans for Hope sweatshirt that had just been given to him); and Barb Murphy, Executive Director of Cans for Hope. Today’s Labor Source 30 for 30 partner highlight: The Hungry Toad. Over the past year, The Hungry Toad has employed 10 CORE/Labor Source participants at various times. 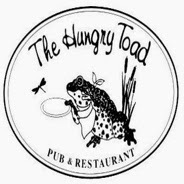 Thanks to Terry and everyone at The Hungry Toad for their commitment to our community and for providing employment opportunities for individuals with intellectual disabilities. Lately, I’ve been feeling the need for speed. 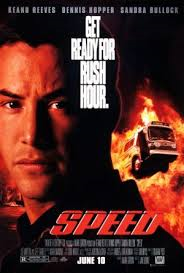 No, I’m not talking about the need to re-watch the 1994 action film starring Keanu Reeves, Dennis Hopper, and Sandra Bullock. Rather, I have been feeling the need for speed in the field of serving individuals with intellectual and developmental disabilities. It doesn’t take extraordinary powers of observation to see that technology is growing at an exponential rate. Technologies that would have astounded us just a few short years ago are now commonplace. Many, many of these technologies have enabled organizations of all kinds to become more nimble and able to react to changing business environments, sometimes at a pace that can be dizzying. More to the point, many of these technologies have the potential to improve the way organizations deliver services to the individuals served by Imagine! and like organizations across the country. And yet, many of us in this field seem to be slow to adopt these technologies, and slow to adapt to the changing environments. Even here at Imagine!, where we pride ourselves at being a nationwide leader in using technology to improve the lives of the individuals we serve, sometimes it appears as if we get stuck in a holding pattern while the rest of the world moves forward. Often our field gets mired in bureaucratic swamplands which trap us even if we want to move forward. The hierarchical structures that dominate our many rule making and regulatory agencies are moving at a pace that does not allow us to react to change or to use new technologies to continue to improve on our ability to keep up with said change. I believe this does a great disservice to those we serve. We need to be able to recognize and act upon technological changes that open the door for more efficient, effective, and person-centered service delivery. We need to be able to pivot and change direction on short notice when opportunity arises. And we need to be able to do so without being encumbered by top heavy hierarchies resistant to change. If we do that, maybe then I will have more time to sit down and watch Speed again. Heidi Storz, former Imagine! employee and current member of Imagine! 's Board of Directors, is featured in the April 2014 edition of Colorado Super Lawyers Magazine. Heidi is one of Colorado’s premier construction-defect attorneys, guiding homeowners through the bewildering process of resolving construction failures. Way to go Heidi! All of the nice things written about you come as no surprise to us at Imagine!. We are so fortunate to have you as part of the Imagine! family. Pictured above are Heidi and David, who receives services from Imagine!, enjoying a meal at the Hungry Toad restaurant in Boulder. The Hungry Toad has employed people served by Imagine! for more than 20 years. 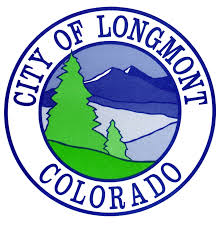 Today’s Labor Source 30 for 30 partner highlight: Longmont Parks. The mission of Longmont Parks is to provide safe, clean, well maintained and attractive public environments for the use of all visitors of the park system. Their service demonstrates good land stewardship, quality park facility planning, knowledge of the green industry, and the highest standards of technical proficiency. Longmont Parks strives to provide this service with a good attitude and communication skills. Over the past year, Longmont Parks has employed 11 CORE/Labor Source participants at various times. They have been employing individuals served by Imagine! since 1999. Thanks to everyone at Longmont Parks for their commitment to our community and for providing employment opportunities for individuals with intellectual disabilities. 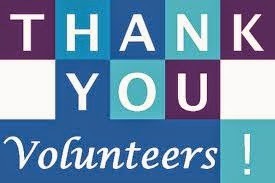 April 6-12 is National Volunteer Week, which celebrates ordinary people doing extraordinary things to improve communities across the nation. So today, I’d like to thank all of Imagine! 's volunteers. As a community-based organization, we know we can't succeed without the support of our neighbors and friends. The many people who have volunteered for Imagine! over the past year demonstrate quite clearly how much support we have for our mission and how fortunate we are to be based in such a generous community. Thank you, Imagine! volunteers. You make a huge difference at Imagine! and in our community. Are you are interested in volunteering for Imagine!? If so, click here. Today’s Labor Source 30 for 30 partner highlight: Amcon. Located in Longmont, Colorado, Amcon offers a complete end-to-end solution for all your foam needs. Amcon warehouse over 80 classifications of foam, ready for any design or manufacturing project you have. Over the past year, Amcon has employed 13 CORE/Labor Source participants at various times. They have been employing individuals served by Imagine! since 2011. Thanks to everyone at Amcon for their commitment to our community and for providing employment opportunities for individuals with intellectual disabilities. Dilbert gets so many things right. I work in a field that is extremely meeting-centric. I’m sure I’m not the only one who feels this way. A good deal of my time is spent in meetings, much more time than I would prefer. Now, sometimes those meetings are productive. These are the meetings where an agenda is set, where objectives are clarified, and where timelines are created. A successful meeting is one where you leave the meeting knowing the next steps and aware of the tools you need to complete those steps. Decisions have been made and roles have been clarified. Unfortunately, I’ve been attending far too many meetings lately where clarity and focus are in short supply. Meetings where information is shared half-heartedly and with no particular goal or reason to be discerned. Meetings that seem like endless exercises in preaching to the choir. Again, sometimes meetings can be important and useful. But if a person works for an organization that is so laden with meetings that he or she doesn’t have time to make real decisions, or to accomplish anything tangible, then something is wrong. This is all too common in our field, and it’s not OK. It needs to change. It’s time for a little less conversation and a little more action. You'll find no statues of committees. Next Thursday, April 10, is National Siblings Day, a day of celebration and recognition for brothers and sisters. I have worked at Imagine! long enough to understand that disability issues affect the lives of all family members, not just those with the diagnoses. The experience can be both especially difficult and exceptionally rewarding for siblings. 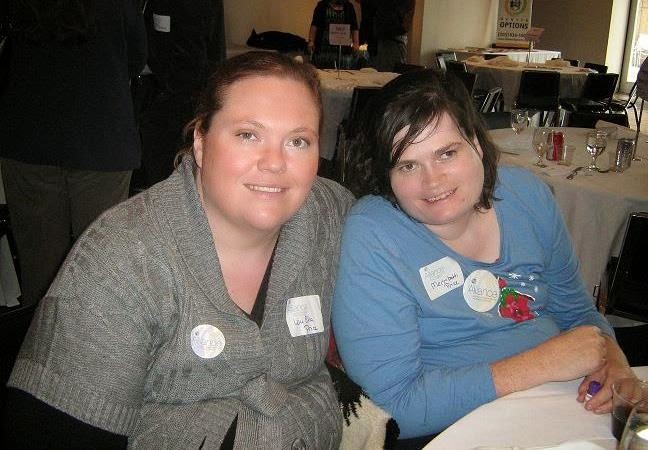 Imagine!’s own Lou Ella Price recently wrote a reflection on her experiences as a sibling of someone with an intellectual disability for our employee newsletter, and I thought it was so well done that I would include it on my blog today. Thanks for sharing your unique perspective, Lou Ella! When I think about the people that are important in my life, I often think about my sister. I can look at the past 30 years and recall fond childhood memories with Merribeth, and I often wonder how each of us survived the awkward teenage years together. I remember when we thought the world was ours to conquer, and the day that I realized that wouldn't be possible for both of us. I can remember the guilt and the tears of being the "normal" sibling and having no power to change it. Looking at my sister now, I know that I often frustrate her because I know her better than anyone, and I know that she loves me because I’ve never seen the disabilities that she has lived with since birth. I don't see her wheelchair or the fact that she is non-verbal, and often, my hardest days are the days when I realize that "normal" isn't the lives that we lead. I have always looked at my sister as someone who should be admired. Someone who has beaten the doctors’ odds and lived past eight years of age, someone who walked even if for only a few years, someone who won gold medals in Special Olympics, someone who has learned how to talk, and someone who ultimately understands and loves me for me. For all of the differences that Merribeth and I have, and all of the trials and tribulations we have experienced, we have always been there for each other, and together we are a force to be reckoned with. We often forget the siblings of individuals with disabilities and their potential roles in the lives of the people we serve. As a community, we need to reach out to siblings who want to be there, and we need to support individuals in services to maintain positive relationships with their siblings. I think of all the memories that I have, and I know that my life would not be the same without Merribeth. And while it has never been easy, it has always been worth every minute. Today’s Labor Source 30 for 30 partner highlight: FreeWave Technologies. Based in Boulder, Colo., FreeWave Technologies was founded in 1993 with a clear mission – to help customers transmit mission-critical data via secure, highly reliable licensed and license-free spread spectrum radios. Since then, they have enjoyed strong and steady growth by delivering innovative wireless solutions that are backed by a passion and commitment to ensure the total success of our global customers. Over the past year, FreeWave has employed 14 CORE/Labor Source participants at various times. They have been employing individuals served by Imagine! since 2011. Thanks to everyone at FreeWave for their commitment to our community and for providing employment opportunities for individuals with intellectual disabilities.